Ceramic Alumina, Y-wt. 100% Poly, 24-120 grit: "Firestorm" is our most high performance product to date. Recent technological improvements to the grain structure allow each granule to "micro fracture" to last longer & stay sharp throughout the life of the product. Featuring a durable polyester backing and a grinding aid that helps reduce work piece temperatures and aids in reducing loading. Works best with medium to heavy pressure applications on stainless steel, titanium, and other super alloys. Will also show great results on most other metals. Good for both narrow & wide belts. Due to the grinding aid, they are designed for dry use, but can also be used wet. Buy 1 Box, Get 1 FREE (valid til 4/30/19). Only applies to sizes in chart below. Use Promo Code BOGO2019. CA/J Ceramic Plus: Ceramic, J-wt. Poly/Cotton, 80-220 grit: High performance flexible product with a grinding aid. Great for polishing or when using the “slack” of the belt. Does NOT require heavy pressure to remain sharp. Works great on carbon steel, stainless steel, Inconel, titanium & high grade aluminum. Good for narrow belts, dry only. Zirconia Alumina, Y-wt. 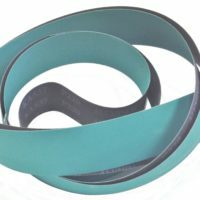 100% Poly, 24-120 grit: This is the "Original" Green Belt. 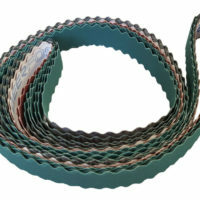 Today it is still the top performing Zirc belt on the market. Featuring a durable polyester backing, and top sized grinding aid that helps reduce work piece temperatures. Heavy pressure helps to properly break down the grains and keep this belt sharp. Great for all your hardest to grind metals, and even excels on aluminum, due to the grinding aid which helps prevent loading. Good for both narrow & wide belts. Due to the grinding aid they are designed for dry use, but can also be used wet. Aluminum Oxide, X-wt. 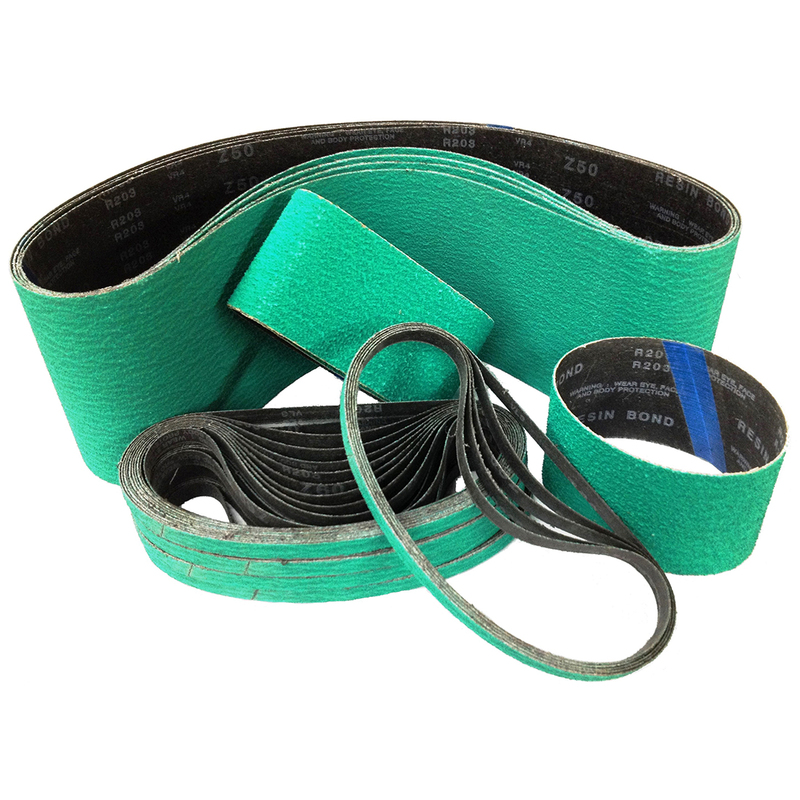 65/35% Poly/Cotton, 24-400 grit: This is our most popular AO Belt. 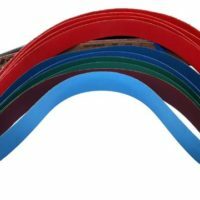 With a great initial price point, the Poly/Cotton backing offers a durable belt with good grain retention. Great starting point for most general purpose applications. Works well on most metals, and hard woods. Good for both narrow & wide belts, dry only. 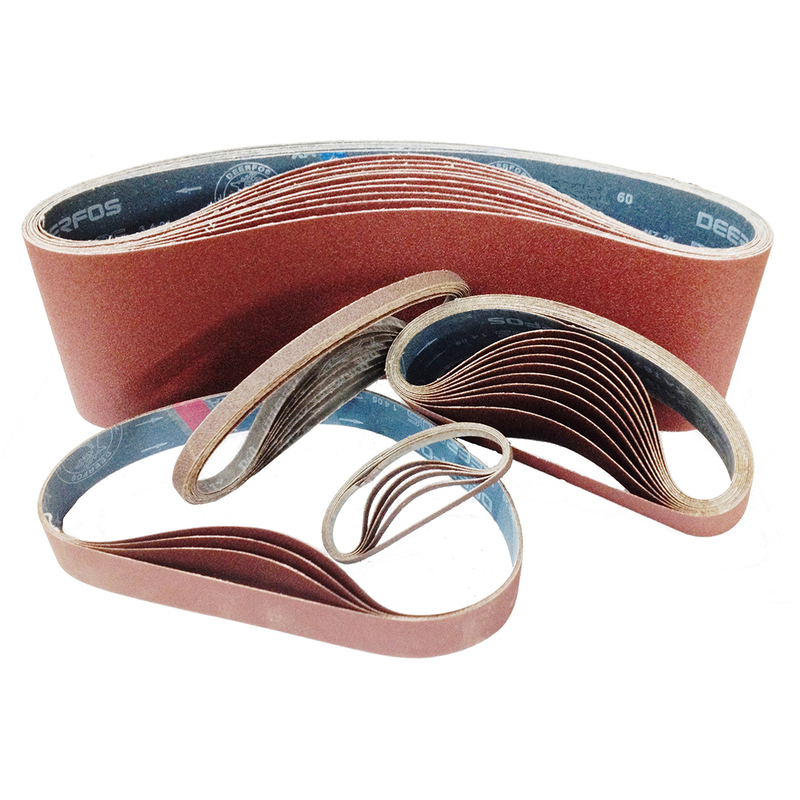 AO/J Plus: Blue Fired Aluminum oxide, J-Flex 100% Cotton, 60-400 grit: A highly flexible product with a grinding aid for use on most metals and hardwoods. Easy to tear. Great on stainless steel, brass & other alloyed materials (very popular with Knife makers for both blades and handles). 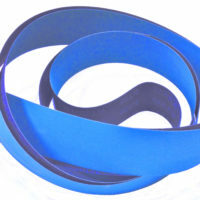 Our most popular J-Flex belt. Primarily used for narrow belts, dry only. 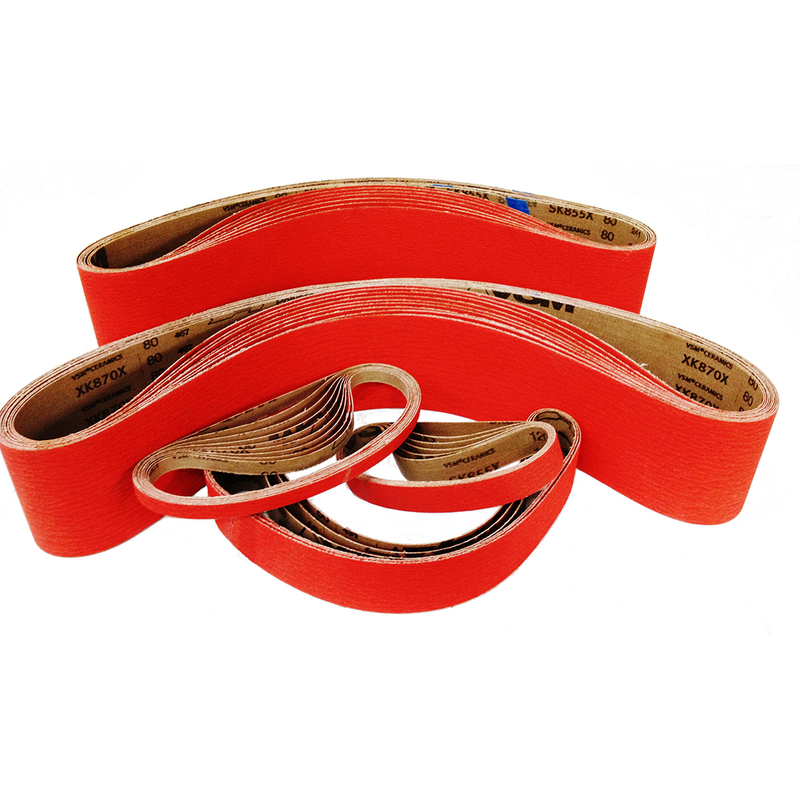 These film backed belts are available in extremely fine grits: 1200 & 2000. They are easily damaged (torn or broken) if used with too much tension. We sell a lot of them, but some customers have not been able to adapt their operations to make them work.